Wayne Clifton Bittner, age 79, passed away peacefully at his home in Covington surrounded by his family on Friday, January 11, 2019. He was born on March 13, 1939 in Saint Albans, Vermont to Clifton and Tessibel Bittner. Wayne graduated from Tahoma High School and served in the United States Army. 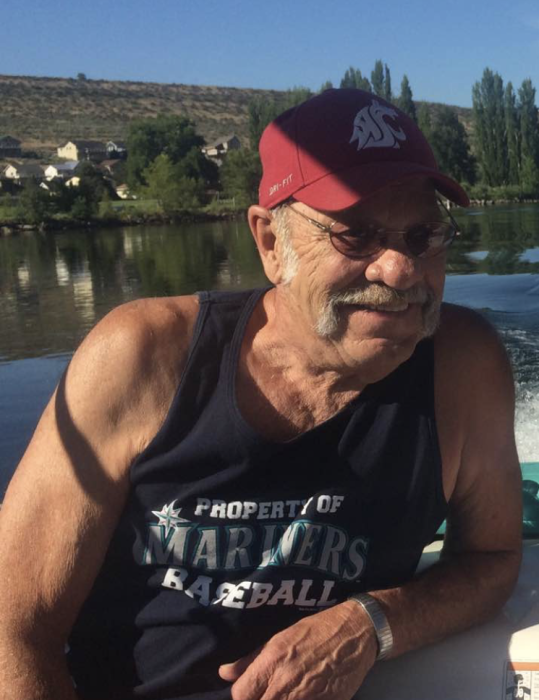 He was a hardware salesperson by trade, but his family and friends know him for his love of fishing, Christmas, maple bars and coffee, his beloved Mariners, and most of all, his love of family, especially his grandchildren. Survivors include his beloved wife Susan Bittner of Covington, WA; his children Nancy (Carl) Roxstrom of Maple Valley, WA Sherrie (Bill) Rosling of Covington, WA; brothers Bruce and Francis Bittner; sisters Betty Nieman, Cheryl Thurlby; his mother Tess Slosson and his grandchildren Kebra, Anna, Anders, Kyle, Billy, Jason, Brandon and Amanda. Friends and family are invited to a Graveside Inurnment with Military Honors on Friday, January 25, 2019 at 9:30 am at Tahoma National Cemetery, 18600 SE 240th Avenue, Kent, WA and to a Celebration of Wayne’s Life at 11:30am at 25858 189th Avenue SE, Covington, WA 98042. Please honor Wayne by wearing your best Seattle Mariners baseball attire to the services. Remembrances to the Charity of Your Choice. Services entrusted to Edline-Yahn & Covington Funeral Chapel, Kent.